Requiring samples in the 10-15m range, Green Gold‘s drilling division, Indrill, required a small, lightweight rig with low ground pressure to navigate the fine powder-white sand. The rig also needed to be nimble enough to manoeuvre around closely spaced trees in wooded areas, and to be transportable along the narrow lanes in the region. From a geological standpoint, sampling sand limits the number of drilling options. 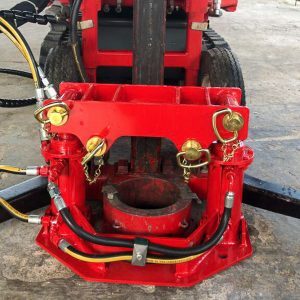 The Terrier’s Duplex Sampling system drives both casing and sampler into the ground simultaneously and eliminates hole collapse which can problematic in sand. Three sizes of samplers are being used with plastic and metal basket catchers to prevent sample loss when retrieving the sample. Plastic liners preserve the sample in situ for analysis and prevent sand from moving around in the core boxes. Early progress has been positive and Indrill’s manager, Shane Charlton has provided valuable feedback on Terrier Percussive drilling in these conditions. 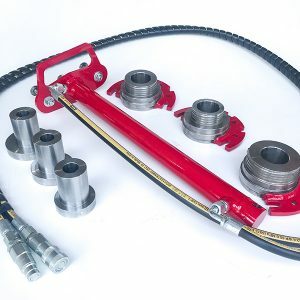 Dando has responded swiftly with a number of prototype ancillary devices including a hydraulic casing jack to aid the extraction of casing at depth in swelling sand, and a hydraulic sample tube extractor. 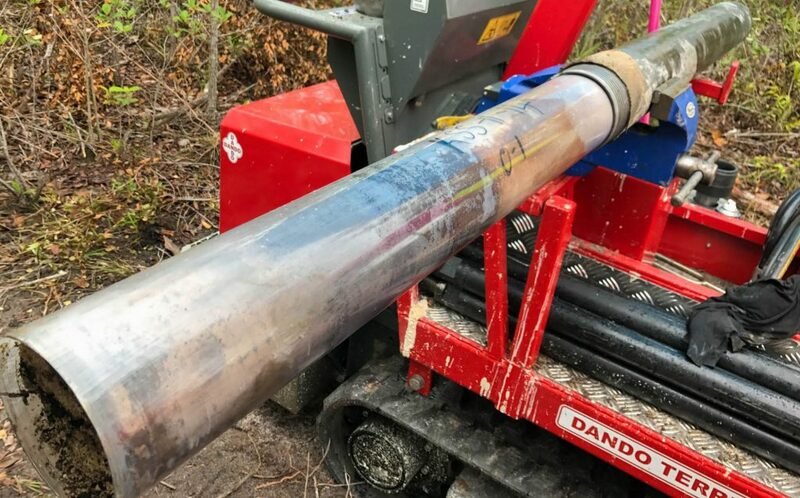 PT Greengold and Indrill are paving the way for quick expansion by forging new approaches to drilling Indonesian mineral targets, and Dando is proud to be supporting them. Indrill manager Shane Charlton provided feedback that led to the development of this protype hydraulic piston sample extractor. The device can be attached to the three sample tube sizes used by Indrill to easily retrieve stubborn core. The prototype hydraulic casing jack aids extraction of lengths of casing that need additional force to be freed from swelling geology at the Green Gold site.